While this year’s homecoming theme was a timeless tradition, there is one tradition present every year at homecoming: pomping. Pomping is the process of cutting tissue paper into small squares, then rolling the paper into very tight balls and gluing them onto different aspects of each team’s homecoming float. While there are many other efforts that go into homecoming, the homecoming parade floats remain the highlight from year to year. SMU organizations walk behind their respective floats during the homecoming parade on the Boulevard. They chant and show off their candidates for homecoming King and Queen as well as their floats. 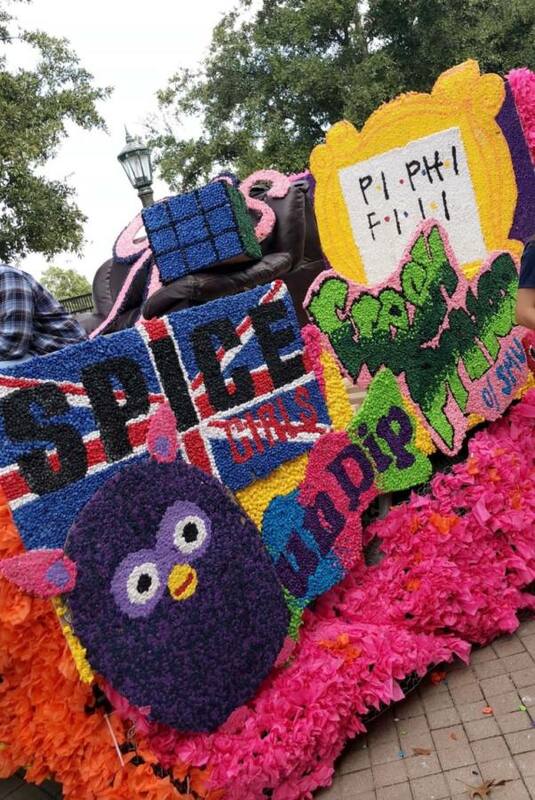 Pomping, a tradition of SMU Panhellenic sororities IFC fraternities, has been a part of homecoming for years. Each team is only given the week before homecoming to work on their floats. Each float has well over 1,000 pomps, which can take multiple days just to roll, let alone build and assemble the rest of the float. 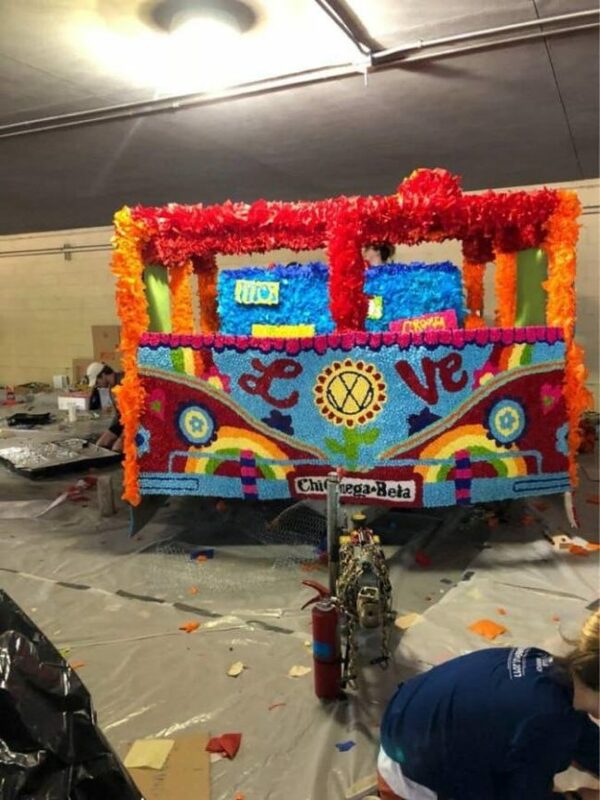 “Even if we finished all of our pomping hours, if the float wasn’t finished by 10 p.m. the night before, our entire new member class would have to go and work on the float until 2 a.m.,” Emma Wilson of Panhellenic sorority Pi Beta Phi said. Pomping and float building progress rapidly throughout the week. 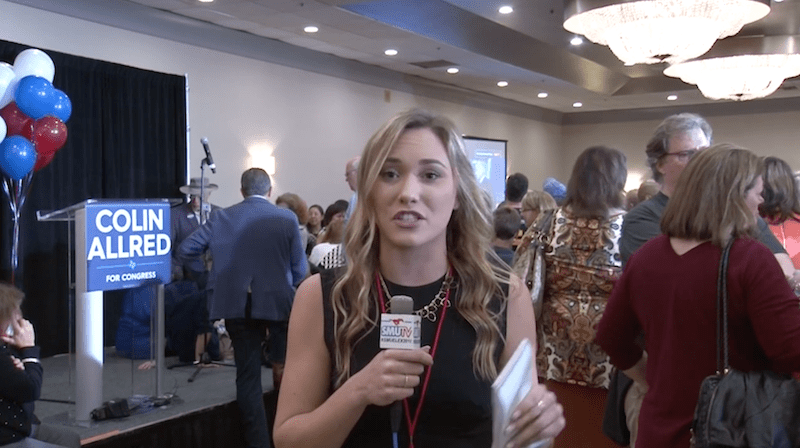 “We all had to complete eight hours of pomping or else we wouldn’t be able to attend some of our formals next semester,” Maddie Reusse of Panhellenic sorority Chi Omega said.